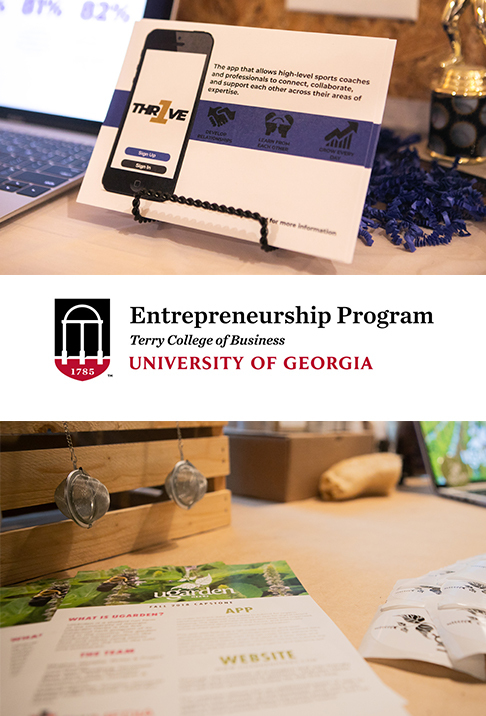 This semester, the NMI is pumped to partner with UGA’s Entrepreneurship Program to offer students from both certificate programs an even richer capstone experience. By combining the NMI’s digital product expertise and the Entrepreneurship Program’s business development talent, students will be able to create more robust capstone projects while also gaining experience working across disciplines, mirroring the real-world start-up environment. One team is working with UGarden, a student community garden affiliated with UGA’s College of Agricultural and Environmental Sciences. By building a refreshed, reorganized website along with an intuitive data management app, this team is creating a suite of modern solutions for the medicinal herb garden to sell products and keep track of critical information efficiently and effectively. Another collaborative team is working with UGA Women’s Volleyball Coach Tom Black to create a professional development social app that will allow high-level sports coaches and professionals to connect, collaborate, and support each other across their areas of athletic expertise. By leveraging training and competition schedules along with lightweight feedback collected through app notifications, the product’s algorithm will offer smart suggestions for coaches to connect and share. You can learn more about these two projects and our entrepreneurship collaboration this December at SLAM!